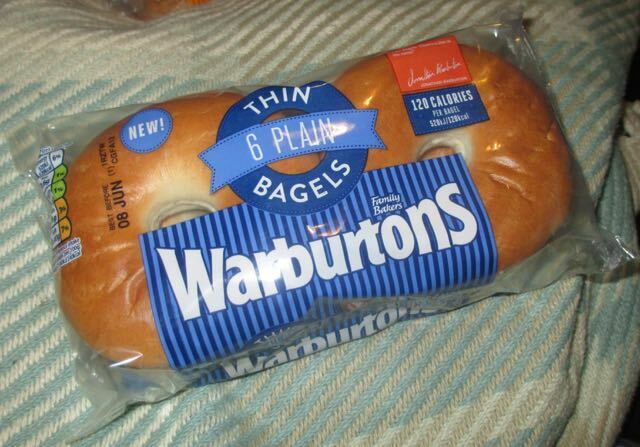 Warburtons got in touch and asked if we wanted to try out their new bagels. They are called Bagel Thins, and have reduced calories. As summer is coming how could I resist. The bagels come in three varieties; Plain, Sesame Seed and Raisin and Cinnamon. 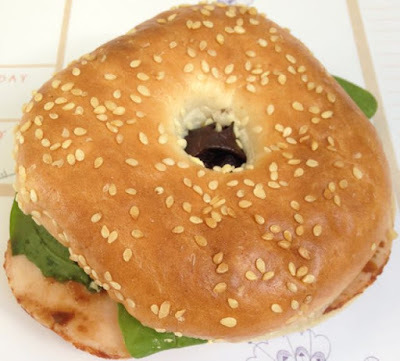 The plain bagels are only 120 calories, and what better way to try them out than with the traditional salmon and cream cheese. It was low fat cream cheese honest, just to keep in with the theme. This worked an absolute treat. 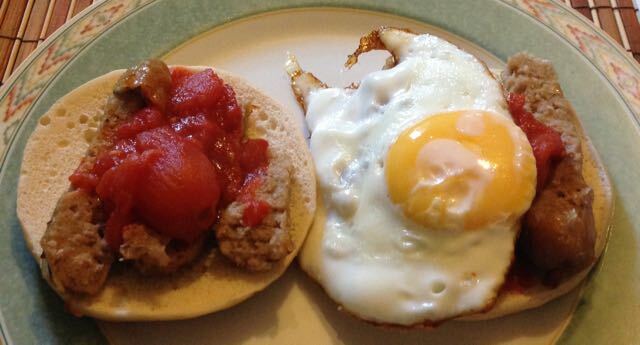 I had one for my lunch along with some salad and other bits. 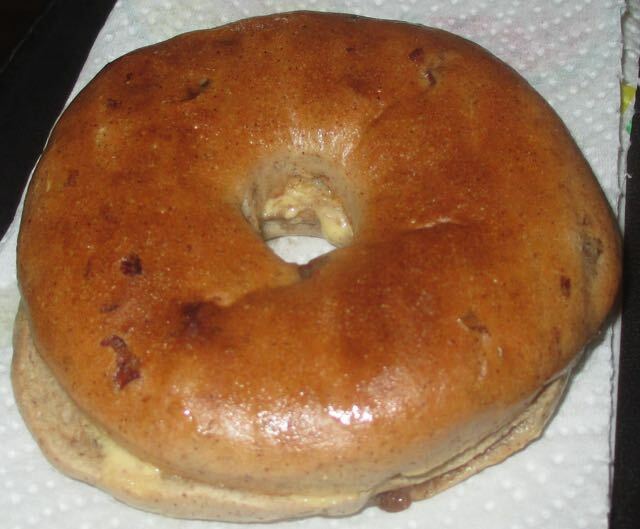 It was very tasty, and the bagel was just the right texture. YEs it was thinner, but I still felt satisfied. Next up I went for some Sesame Seed ones, and had these with my lunch at work. One thing I did like was the seeds on top were fairly firmly set in and you didn’t loose many when you tucked in. 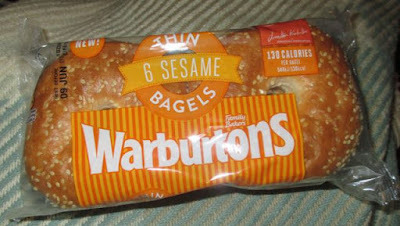 They added a nice flavour, and brightened up what would have been a ham sandwich, while keeping the calories low. Did I mention that this new size means that these bagels also fit really well into the toaster, as they are thinner than ordinary ones. This makes them a little crispier and they are fab warm with melting butter. Toasting the Raisin and Cinnamon ones is the perfect breakfast food. 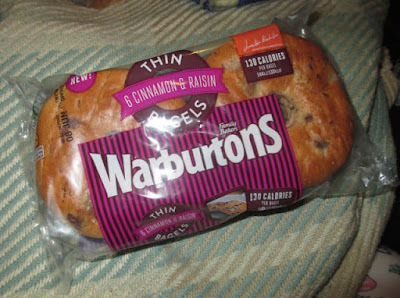 I know I’m a big cinnamon fan at the best of times, but the hot cross like bun flavour was just heaven sent. 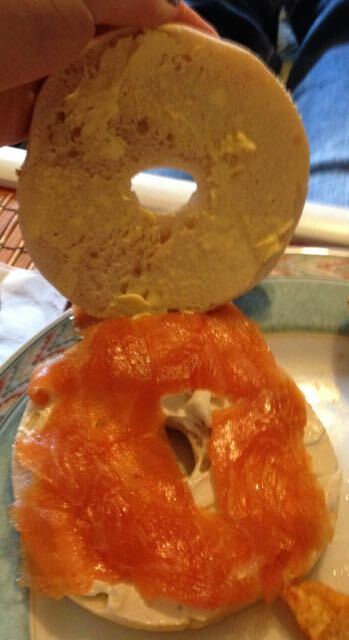 Even Spectre, who is not that fussed by bagels or cinnamon said he really enjoyed his (with damson jam).